When it released the Rift DK1 in 2012, the Oculus team was seen as the little startup darling that could finally make virtual reality an actual reality—and it was going to do it with a community-based effort. When it was snatched up by Facebook, founder Palmer Luckey made it clear “a million times” that Oculus wasn’t going to build a VR walled garden. It’s becoming increasingly clear that Oculus’s openness has its limits. A little more than a month later Revive is kaput. After the most recent Oculus update, when an Oculus-purchased game runs on your PC, the DRM checks to see if a Rift is also plugged in. If not, the game won’t play. As Motherboard points out, this DRM change reflects the standards of the gaming industry. For example, Microsoft does everything it can to prevent you from playing Halo on a PS4. Still, it feels at least somewhat out of line with Luckey’s public statements about maintaining an open VR community. And that VR community is none too pleased. Cutting out this particular mod isn’t that surprising. 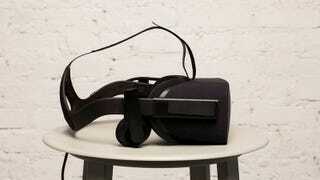 After all, Oculus explicitly stated that it probably wouldn’t last long. But be warned: more aggressive DRM is definitely coming.